OIH Members (members of the OIH organization) are categorized as Player members or Partner members. Anyone who has ideas or techniques and aims to start a business or commercialize it can become a member. 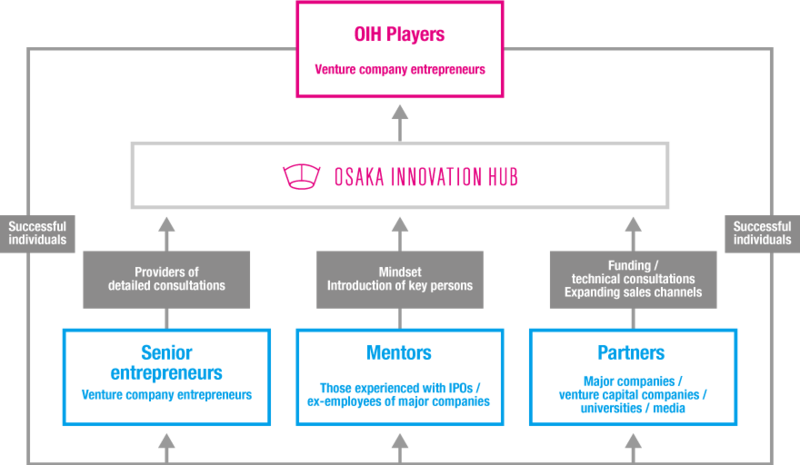 Members can participate in an annual international event, Hack Osaka. Partners are companies, communities, or civil services that cooperate in creating projects with OIH. Partners can also hold events. *We are not recruiting from the public. Inquire with us individually.